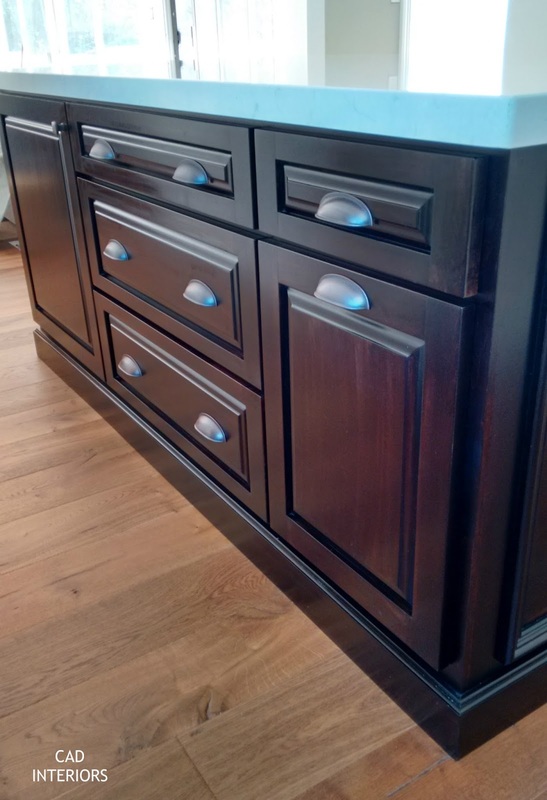 1) Stained the island a dark espresso wood tone, a stark contrast to the white perimeter cabinets. From the beginning, I knew I wanted a two-tone color scheme for our "modern farmhouse" kitchen design. It provides interest and character, as well as added depth and dimension. 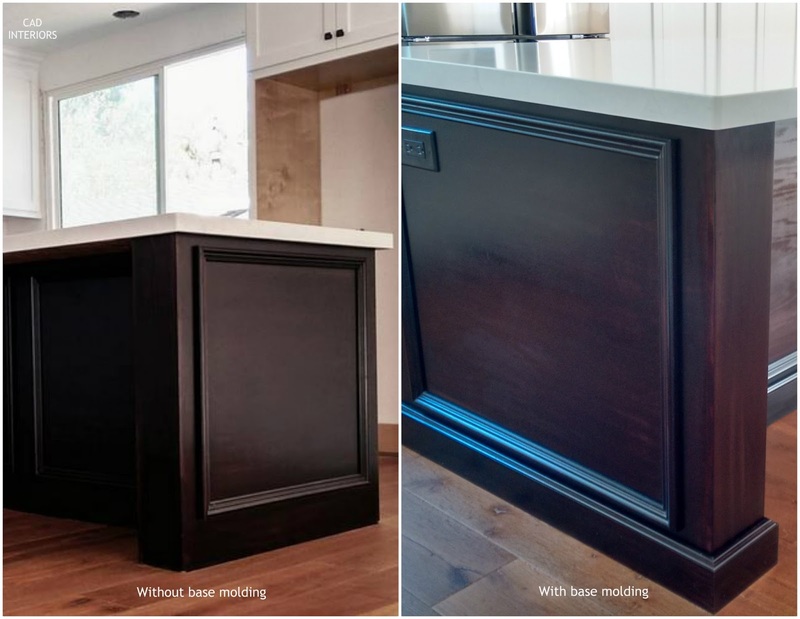 While I initially considered a gray or navy tone, I ultimately stuck with my instinct to stain the island in a dark espresso for a more classic and timeless look. It is also more in character with the house. We couldn't be happier with the result! 2) Selected a raised-panel door style to compliment the shaker profile of the perimeter cabinets. 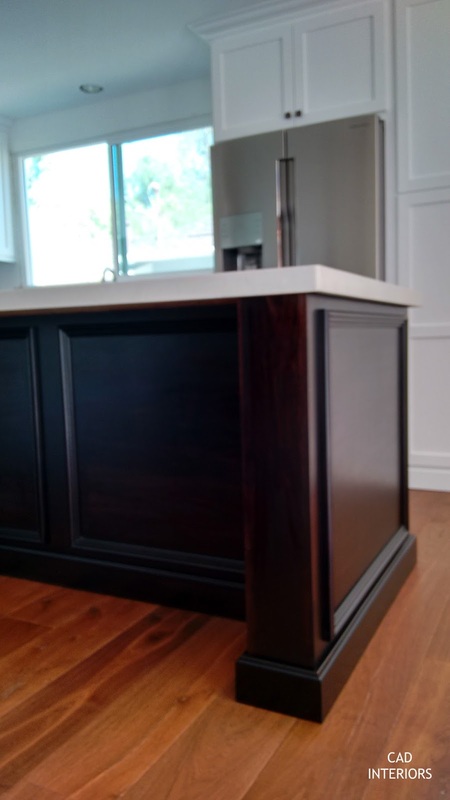 3) Extended the side panel "legs" out to meet the width of the countertop, and added decorative finish trim to give it more "furniture-like" detail. Our contractor just wrapped up "his portion" of the kitchen construction. After my handy hubby installs the to-be-determined backsplash and island lighting, the kitchen will be done! In the meantime, I've started unpacking some of our kitchen essentials and have been enjoying the remodeled space. The island has (expectedly) proven to be the hub of our kitchen! 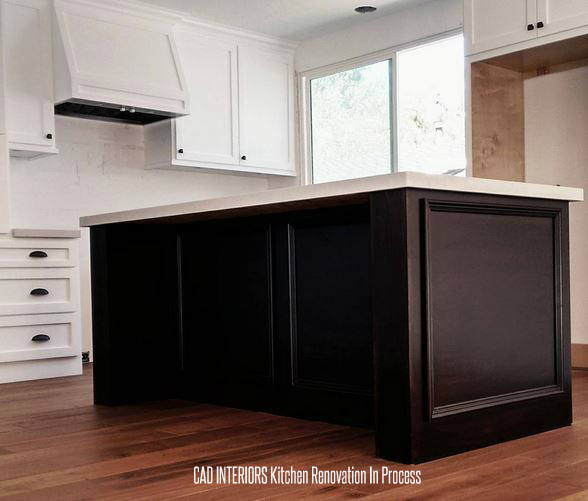 To catch up on all posts related to our kitchen remodel, click here. WOW WOW WOW Carol! Your kitchen looks amazing!!!!! I have been dying to check out all the details and it all so beautiful! I am soaking in all the details. Love the white cabinetry with the contrasting island. Love the hood. Love the extended legs and moulding details. All so good!! This gives me hope for our sad little kitchen that desperately needs love. Thanks or sharing!